The acro coral is a branching SPS coral, as with many other commonly found SPS corals. The shape this branch coral can take will vary between each individual coral from a bush like structure to having fewer and thicker branches. The thicker branches are more common acro to find. It can range in color from a brown or cream color to a bright neon greens along with a few other less commonly found colors. With over 300 different acro species that are currently documented, it can be a little challenging to properly identify all the different acro corals out there. Most often, the only noticeable difference can be the coloring and growth patterns. The below link highlights typical water conditions the acro coral, as with most SPS, will require. 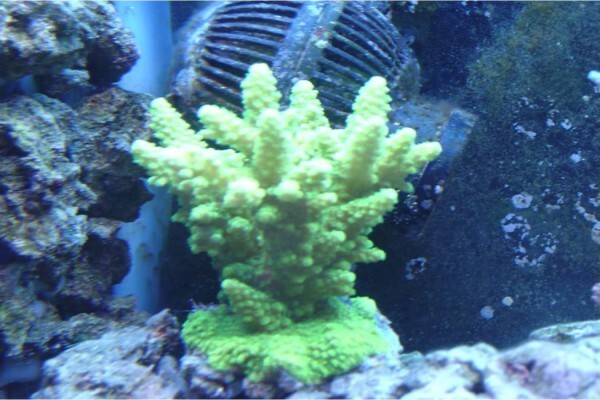 As this is a very difficult coral to keep, you should ensure your dKH, Cal and Mag levels are maintained at all times with nitrate and phosphate levels almost undetectable by very good quality test kits. These SPS will be affected by changes in water chemistry so you will need to ensure your parameters are also very stable. 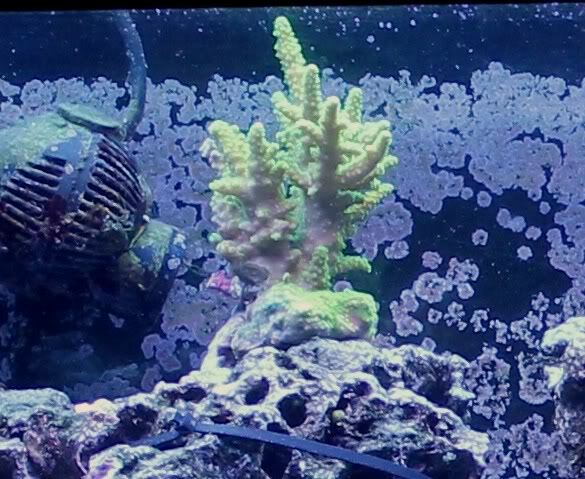 As this coral also has a calcified skeleton, it will consume calcium from your water. In set-ups with a good amount of SPS corals, it is not uncommon to have to dose dKH and Cal in order to keep the water parameters in line. 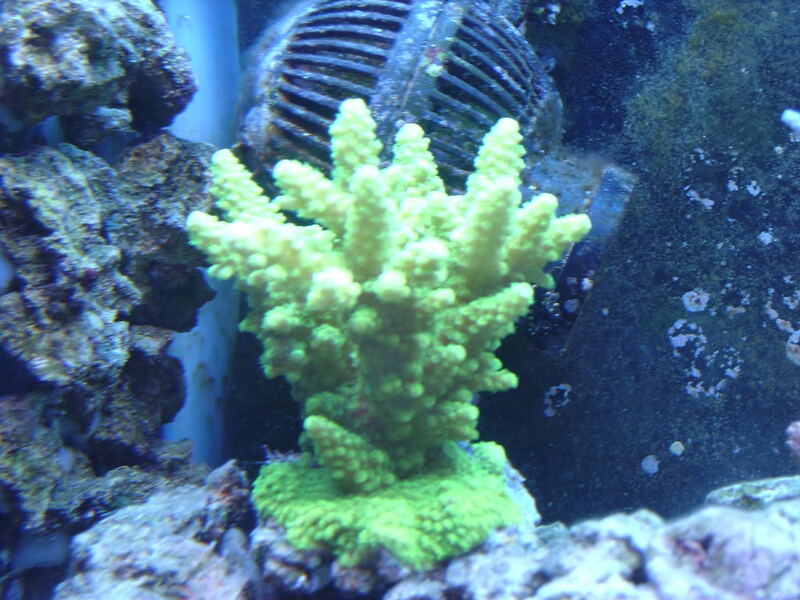 Acro corals as with all other SPS coral, should only be added to mature aquariums. Provided all their requirements are met, they can grow very large to well over 12 inches. The only thing that will limit their growth is the size of your aquarium. In the wild they can grow to become several feet, so you can expect to have to trim back (or frag) your acro at some point. 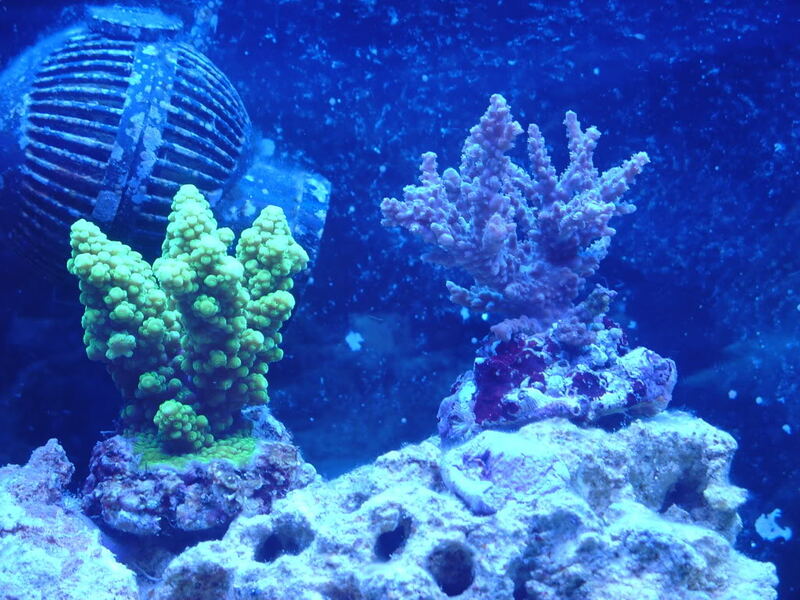 Acro corals typically do best when placed on top of rocks, closer to the aquarium lighting and in areas of higher flow. When provided with the correct conditions, they will grow very fast in an aquarium.